Helping out with the themes for this year's programs, a chance to share knowledge, skills, and provide a venue to help chemical engineers practice public speaking and presentation skills. What career development strategies do ChemEs use to advance their professional growth? How are chemical engineers adapting to new tools and technologies that will transform our entire profession? What kinds of cool ChemE work you do? Which breakthrough results from your research or work projects would you like to share? How do chemical engineers live beyond the profession? How do we handle wellness, work/ life balance, find new ways to innovate chemical engineering ideas as part of our personal and professional lives? If you're an AIChE NorCal member, the submission link was sent out via email on 8/28/17! Getting the chance to get some social media chatter going among NorCal chemical engineering young professionals (YPs). Looking forward to working on a few areas directly tied to my chemical engineering roots alongside the Northern California AIChE membership. 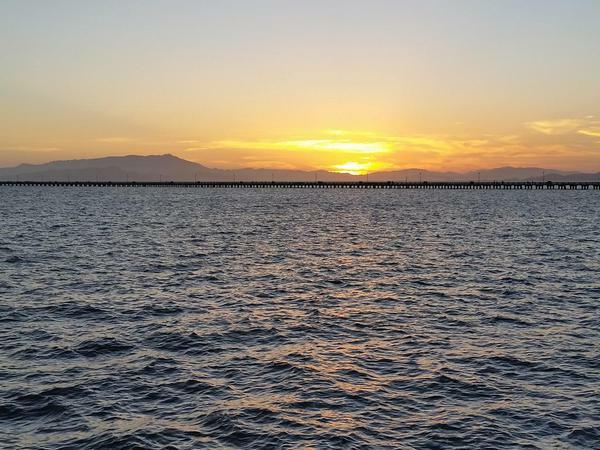 How can anyone not be inspired by a sunset view of the San Francisco Bay? 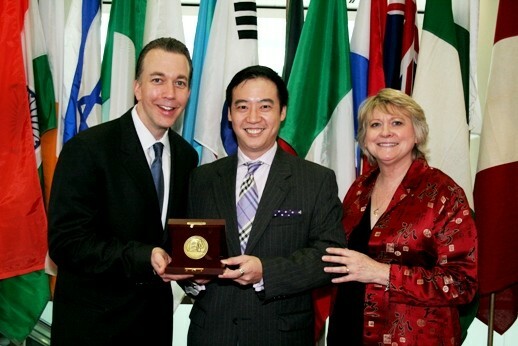 In May 2013 I was named recipient of the 2013 ASQ Feigenbaum Medal, the Society's highest international award for a young quality professional. 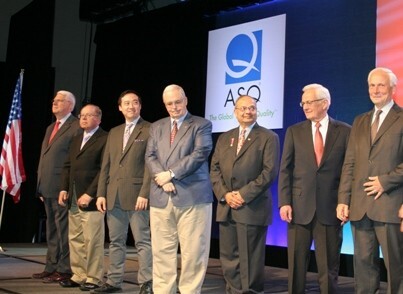 It was an privilege to be listed with the other ASQ Medalists and Honorees this year at the ASQ World Conference on Quality and Improvement, held in Indianapolis. Looking at the other Medalists and honorees, which included former U.S. Secretary of the Treasury Paul O'Neill and statistics thought leader Douglas Montgomery, I was the only person I had never heard of (copies of Montgomery's book, Probability and Statistics in Engineering and Management Science, co-authored with William Hines, and Design and Analysis of Experiments, deemed to me as "the bibles of industrial quality statistics" by my mentors, were pressed into my hands on the first day I started as a quality assurance engineer. It was a huge honor and it felt like a cumulative effort over the past several years where I've had the opportunity to lead quality and engineering projects both within my work as well as within the ASQ itself, my home section, the ASQ New York/ New Jersey Metropolitan Section and the leadership of the National Society of Professional Engineers. With this recognition, I join a list of past Feigenbaum Medalists who have all continued to pursue impactful changes in their respective industries and careers. 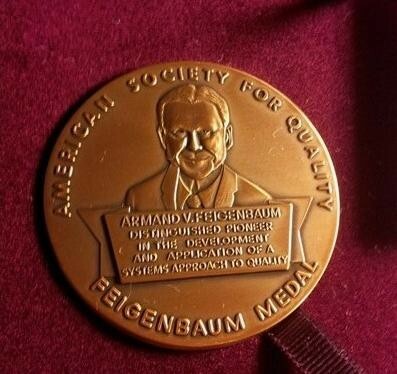 The Medal is named in honor of Armand V. Feigenbaum, one of the pioneers of the Total Quality Management movement who fostered thinking about quality as a systems science and promotes the interdisciplinary application of quality tools and methodologies. 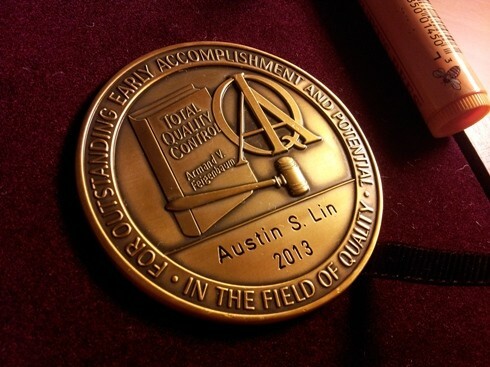 On the back of the Feigenbaum Medal itself, it states, "For Outstanding Early Accomplishment and Potential." No pressure on the "potential" being demonstrated in the future, right? 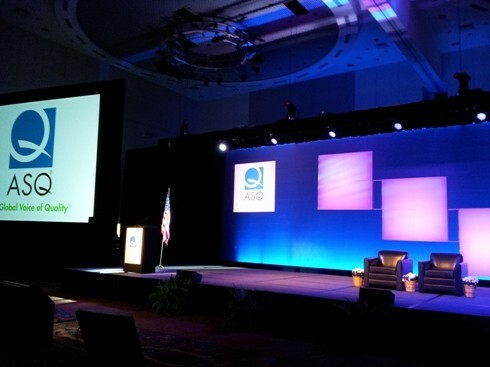 Thanks also go to the early encouragers and mentors who first brought me under their wing in the quality profession: Trudy Edenfeld and Sara Miles who steeped me in statistical process control and onboarded me into the world of quality assurance engineering, Nita Cato who was always my biggest cheerleader and confidante and Walt Laurel, who encouraged me to pursue my first ASQ certification, the Certified Quality Engineer (CQE). 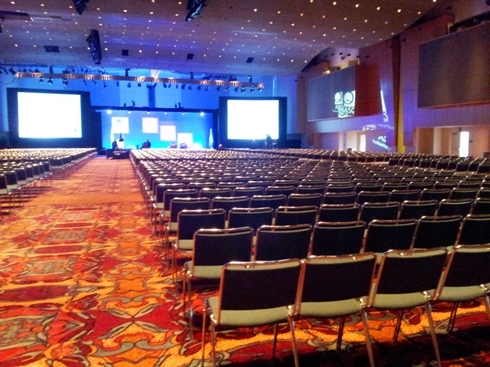 The massive Sagamore Ballroom at the Indianapolis Convention Center, prior to the start of the ceremony. With the other Medalists and honorees. Among the other distinguished recipients, the second person from the right is former U.S. Secretary of the Treasury Paul O'Neill! I have no idea why I'm staring off into the ceiling. The back of the medal: Potential with a capital 'P'. As in No 'P'ressure . Was a great experience to be invited to speak at Villanova recently. The event was hosted by the Pennsylvania State Society of the National Society of Professional Engineers and the NSPE Student Section of Villanova University. Thanks to Dr. Peter Staffeld as the faculty leader for the student chapter, Mike Fischer from the Valley Forge Chapter of NSPE and the student leaders for hosting the event and to Lukoil for being the corporate sponsor of the event. Enjoyed the opportunity to present to the students and PA state NSPE members as well as hear NSPE Vice President Harve Hnatiuk's comments to the students as well. I had the chance to share some of my work as NSPE Young Engineers Director (2011-2013) on the Career Engineering Roadmap, introducing soon-to-be-graduates and emerging engineering professionals to the multitude of career choices available to engineering graduates. I was inspired to be surrounded by such a talented group of students who all undoubtedly have exciting engineering careers ahead of them. "The Highest Calling in Engineering"
Reposting here from the Mentoring Blog of the National Society of Professional Engineers where former president Bernie Berson, PE talks about the virtues and sense of personal drive and legal and moral responsibility bestowed upon engineers that have attained state level licensure. From working with Bernie in the past on the NSPE Mentoring Task Force, he is certainly an individual who exemplifies those qualities of being an engineering servant to the public. 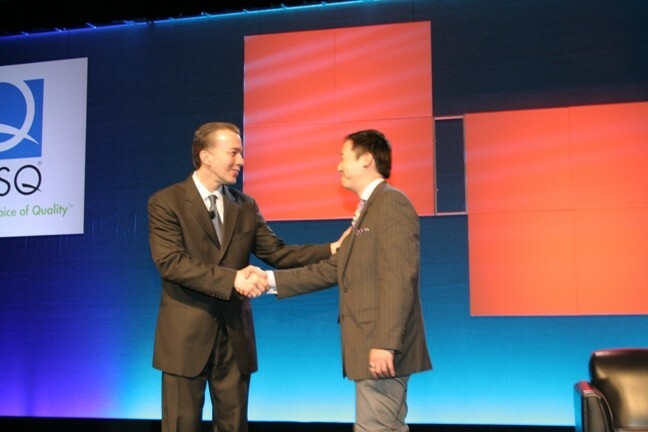 Check out his brief but impactful summary of "the highest calling in engineering." On a recent seminar on introducing freshmen chemical engineers to the profession (and trying to influence, to some extent, any improvement possible in the 20% attrition rate of freshmen chemical & biomolecular engineers at my alma mater), I spent some time beforehand with Dr. Lise Dahuron, the instructor of the class. Being also the faculty lead for the undergraduate chemical engineering senior lab course, Dr. Dahuron offered me a quick tour of the latest iteration of the senior lab, a place I knew well (not to mention.. suffered through--but in a transformational way). I was completely surprised to see my liquid level control lab still going strong. Some things you file into your mind and never expect to see again but there, as if opening up an attic chest from one's past, I was suddenly remembering how things with esoteric names like "pressure transducers" still functioned. The experiment itself isn't a feat of rocket surgery, but what it represented for me more was a sort of Zen satori--the art of assembling tiny components by hand, crafting their fit, become a medium to pass along the stumbling blocks of any undergraduate chemical engineer's academic growth. More so, it represented where I had come from. Seeing the tank setup still in tact and pulsing along was like running into an orphaned child. And knowing, warmly, that it was over a decade older and doing fine. Everything was going to be okay. And it was. "The flame of conception seems to flare and go out, leaving man shaken, and at once happy and unafraid. There's plenty of precedent of course. Everyone knows about Newton's apple. Charles Darwin and his Origin of Species flashed complete in one second, and he spent the rest of his life backing it up; and the theory of relativity occurred to Einstein in the time it takes to clap your hands. This is the gratest mystery of the human mind--the inductive leap. Everything falls into place, irrelevancies relate, dissonance becomes harmony, and nonsense wears a crown of meaning. But the clarifying leap springs from the rich soil of confusion, and the leaper is not unfamiliar with pain." There is pain in innovation, particularly when risks are at stake--lives are altered in a manner that can result in step changes upwards successfully or downwards in catastrophic failure. That inductive leap which provides the forward momentum one direction or another, is oftentimes a balance of sparks of luck, sparks of ideas so close to become reality that sometimes only perseverance, will and angel investments can bring to life. On the execution side of this innovation are the seats reserved for engineering when such invitations are recognized, be it the late night coding sessions (perhaps fed by the coffee urns of this very IHOP) or the more attainable realities kneaded into existence through design and technology: creation with the hands or of the caffeinated minds. Naysayers await for your crown of meaning to arrive--or not. We all await for these things to fall into place, hoping our creative intentions are involved in more than the catching and the receiving. There is undoubtedly passion that sets this mood---creation with full and uncompromising realization as the ultimate end. Or it's love---to paraphrase what Audrey Hepburn uttered as Sabrina, "Tonight I'm not the one reaching for the moon; the moon reached for me." Science and engineering, creating those leaping, diving with form, fit and function. While the Clay Mathematics Institute's Millennium have received quite a bit of spotlight with the size of the prize, the National Academy of Engineering (NAE) has also been promoting engineering's own Fourteen Grand Challenges of Engineering". One of the most positive aspects of these types of programs is the focused alignment between experts in the scientific community to raise awareness of the most challenging problems facing us in the coming decades, enabling the realization of pressing global technological challenges. "Every systematic science, the humblest and the noblest alike, seems to admit of two distinct kinds of proficiency; one which is referred to as scientific knowledge of the topic, while the other is a kind of educational familiarity with it. For an educated individual should be able to form a fair off-hand judgment as to the effectiveness or ineffectiveness of the method used by a teacher in his lecture. To be educated is in fact to have the ability to do this; and even the man of universal education we deem to be virtuous in having this kind of ability. It will, however, be certainly understood that we only attribute universal education to one who in his own individual self is critical in all or almost all branches of knowledge, and not to an individual who has a similar ability only in one particular special area of knowledge. It is possible for an individual to have this ability in a single particular branch of knowledge without possessing it in all."